What a nice shot! One of a kind. It's an awesome bird shot. It looks like you are 'above' the subject, but just barely. Gorgeous shot! 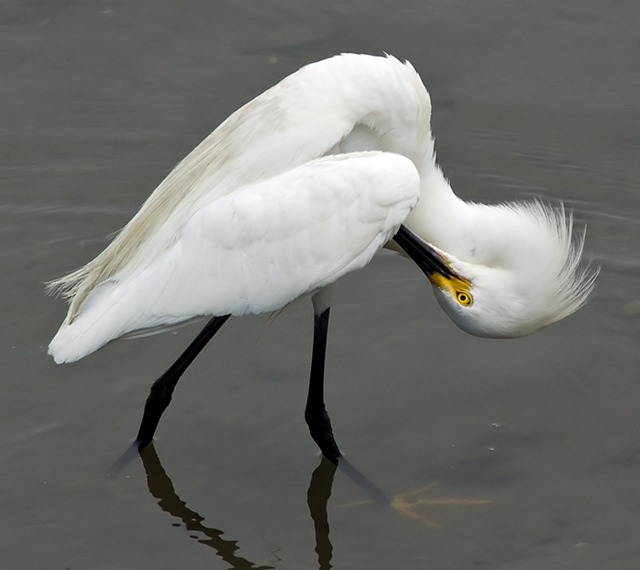 Very nice detail and I love the curves in the egret's pose. And the yellow foot in the water ... for some reason I really like being able to see that foot. "Photograph any subject from a vantage point above it." I feel like I am at the same level as the subject... *sigh* DNMC, in my opinion... I'm sorry. Proudly hosted by Sargasso Networks. Current Server Time: 04/23/2019 12:19:24 PM EDT.